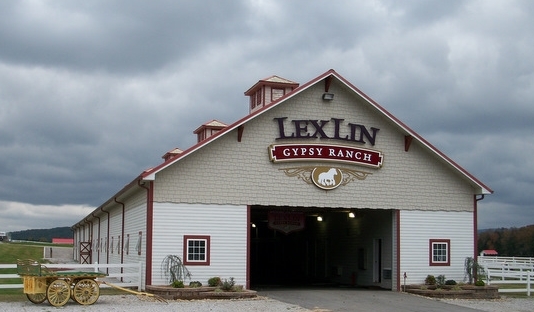 Today we were thinking about the videos that have been produced at Lexlin Gypsy Ranch and thought we would showcase the m in our gypsy horse blog. We have a great video filmed by Horse Click TV that is broken down into three parts. In Part I you will find an overview of the Gypsy Vanner breed and its heritage. We also explain our attraction to these horses and Mechelle’s travels to Appleby, England to select some of the finest Gypsy Cob horses for our breeding program. Part II of the video features well known trainer Mike Branch, of Flying B Horsemanship, demonstrating his unique and gentle natural horsemanship training methods. Mike develops relationships with the horses to better communicate with them. 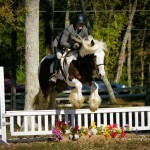 He shows the willingness of the horse in following his instruction and how the horse exhibits no fear with the techniques he is using. In the final portion of the video, Ashley does a driving demonstration and shows the versatility of the breed showcasing our beautiful Gypsy Vanner stallion, Dreammaker. His name is very fitting as he is very dreamy in looks and movement. He is eye catching to say the least! In our Open House 2010 video, Mike Branch appears again to show his skills in hand and under saddle with Jagged Dollar, one of our favorite Gypsy Vanner mares. 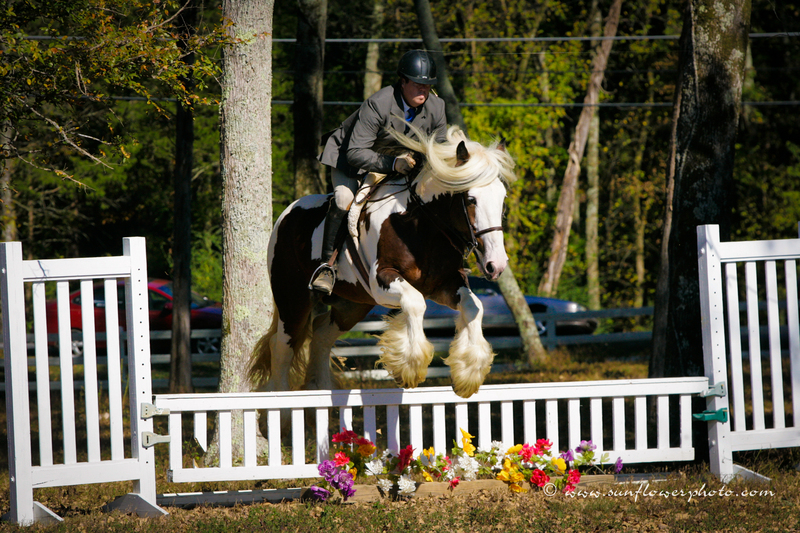 Sir Maverick, our flashy tri-colored Gypsy Vanner stallion shows off his fantastic disposition and sport horse suitability with his jumping skills. Other events highlighted from the day include a stallion, mare and foal parade that features some of LexLin’s finest gypsy horses! We also have videos posted of our special television spot “Our Stories” which features local stories on which have and will continue to shape our lives here in East Tennessee. The crew at WBIR did an excellent job capturing an overview of LexLin Gypsy Ranch and why our family loves this wonderful horse breed. One of our 30 second commercials can also be found in our video gallery. This was aired on WBIR last year in an effort to tell people about LexLin Gypsy Ranch, the Gypsy Vanner breed and to give a glimpse of some our beautiful gypsy horses for sale to loving homes. The last couple of years have been a joy for us to share our horses with our friends, family and people all over the world! You can view our Gypsy Vanner videos linked from our video gallery page as well as on some of the individual pages of our Gypsy Horses for sale. Don’t forget to visit LexLin’s youtube.com channel to see additional footage of our horses and events at LexLin Gypsy Ranch.